Many companies are doing all they can to “go green,” meaning to factor environmental sustainability into their everyday decisions. The print industry is no exception, but this industry may face unique challenges in trying to offer sustainable and eco-friendly products and services. These particular challenges include greater demand for high-quality prints, and even local environmental and other government regulations. How is the print industry stepping up and facing these challenges? Note a bit about how print manufacturers are answering today’s environmental and business challenges. Leading British printing ink manufacturers, for example, have made vast improvements to the quality of the ink they produce. But more importantly, along with improved to the quality of ink, they have also become more environmentally-friendly. For instance, vegetable-based eco-solvent inks are increasingly being used in the print industry. These vegetable inks are typically made from soybeans, which do not produce volatile organic compounds and are easier to recycle. So, on-the-whole, we can conclude that vegetable inks are great for industrial printing while being less harmful to the environment. What’s more, new waterless-based ink is coming onto the printing scene. In past years, tremendous amounts of water were used to make ink and to keep it from drying before it was used for printing; especially for the textile industry. Today, however, better technology in the manufacturing process allows for far less water to be used to create and store ink. So, this new form of waterless technology is very exciting for the future of the printing industry and the sake of our planet. The upsurge of sustainability within the print industry is also in large part the result of better technology. There is an increasing number of environmentally-friendly printers that are available for the home and industrial market. These eco-friendly printers have a selection of energy saving features, which are said to use up to 96% less energy than a typical printer. Also, they are incredibility efficient. 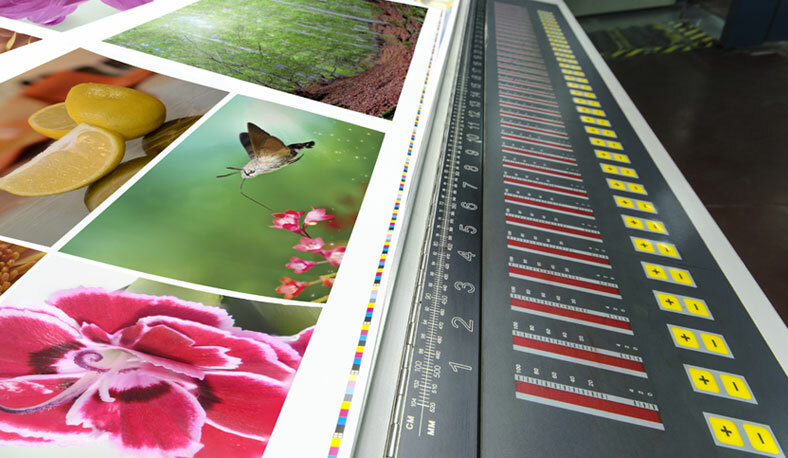 Recent economical printing technologies help reduce the amount of ink used per page. As a result, you get more mileage from each ink cartridge you use. The economy can have a substantial impact on ink manufacturers and their behaviour. For instance, some inks are made with a petroleum base, but the cost of manufacturing these types of inks will then fluctuate according to the price of crude oil. As the price of oil goes up or it becomes harder to source, ink manufacturers may then turn to use a soy or vegetable oil base for their products, rather than still relying on crude oil and having to raise their prices. These natural materials are more abundant and often more accessible than crude oil, while also being friendlier to the environment. Governmental regulations may have the same effect on ink manufacturing. These regulations may dictate that materials used to make ink be considered flammable, dangerous to one’s health, or harmful to the environment. An ink manufacturer would then need to classify their inks as hazardous, offer special packaging for them, and so on. Rather than go through the costly and time-consuming process of categorizing their inks this way, manufacturers may turn to natural materials for their products instead. As end consumers become more environmentally conscious, they may also demand products that are eco-friendly. This, in turn, puts more pressure on the industry to change its ways and become even more eco-friendly. Otherwise, business risk having end consumers avoid products depending on what ink is used, how they are packaged, and whether the product can be recycled easily. As with all other areas of business, the printing industry is not without its unique challenges in creating more eco-friendly products; however, ink manufacturers and others have stepped up to the demands facing their industry. They will no doubt continue to favor environmental sustainability in their products and processes, while also improving the performance and longevity of many of their varieties of ink!